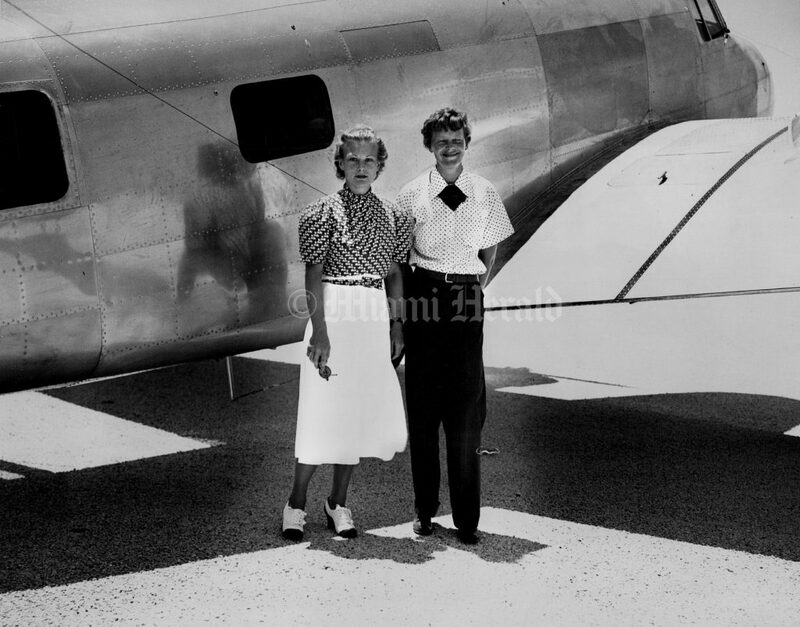 When Amelia Earhart attempted to be the first woman pilot to fly around the world in 1937, she launched her fateful trip from the Miami Municipal Airport in Opa-locka. This was her second attempt at flying around the world. She landed at the wrong airport in Miami, in what was then known as the 36th Street Airport (now part of Miami International) rather than the bigger Miami Municipal Airport just south of Opa-locka. 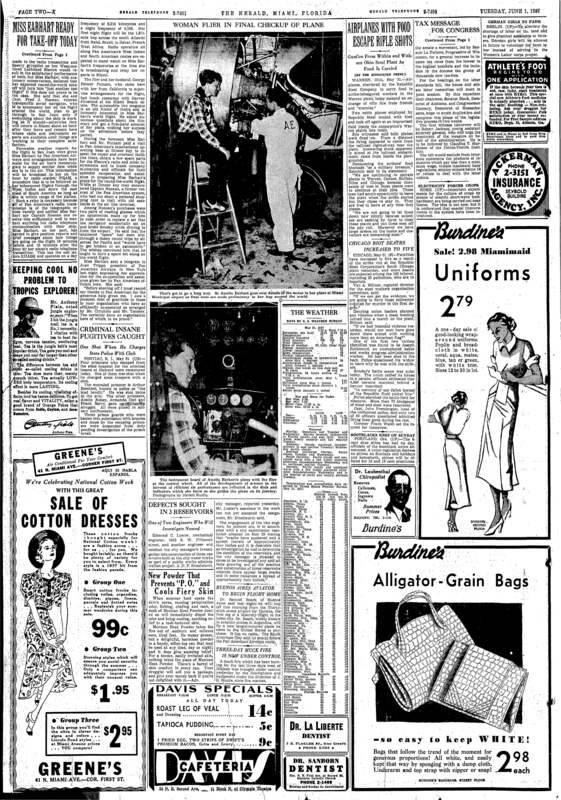 Her landing on May 24, 1937 was rough and she stayed in Miami for a week while the plane underwent repairs. 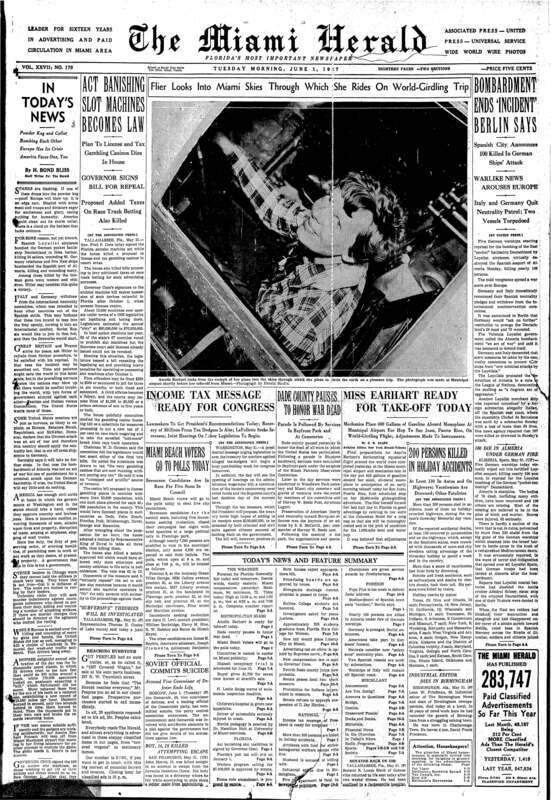 On June 1st she and Fred Noonan lifted off and soaring at 3,500 feet and speeds of up to 150 miles per hour, the plane reached its first stop, San Juan. From then on, for a month, the flight continued more or less on schedule. 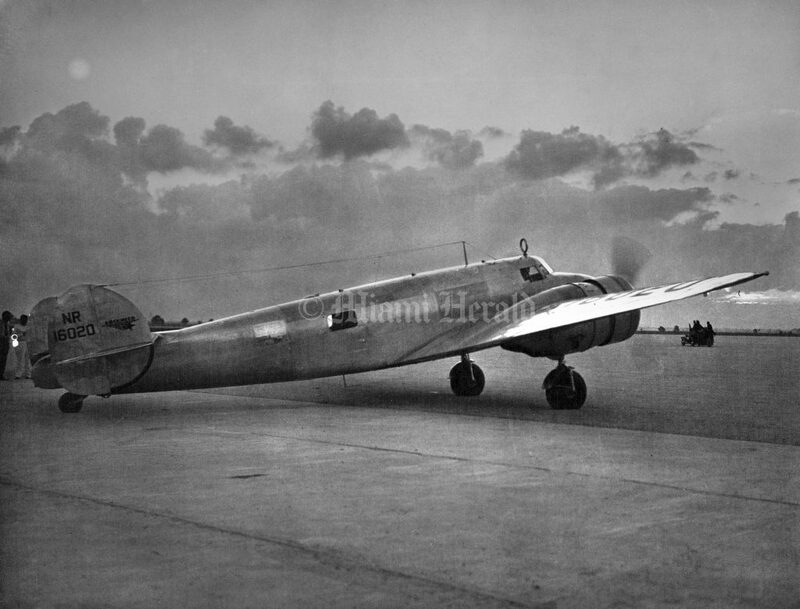 On July 2, 1937, Earhart and Noonan took off from Lae airstrip in Papua New Guinea at 10:30 a.m. and were never seen again. The 15-day search effort, led by the aircraft carrier Lexington, was the largest ever attempted to that time. It involved 3,000 men, 10 ships and 102 fighting planes and covered about 250,000 square miles of blue and maddeningly unyielding sea.